Marital Property; How it’s Divided. Sometimes splitting property in a divorce feels like this infamous quote! Mississippi is an Equitable Distribution state, NOT a Community Property state. The main difference is that Mississippi Court’s have discretion from requiring a 50/50 split in every circumstance. In fact, Equitable Distribution means “fair, but not necessarily 50/50.” I have previously touched on division of stuff in Fighting Over Furniture. To determine what is fair, a number of factors are used called the Ferguson Factors. Contribution to the education, training or other accomplishment bearing on the earning power of the spouse accumulating the assets. The degree to which each spouse has expended, withdrawn or otherwise disposed of marital asset(Marital Waste; Don’t Spend Money on Your Girlfriend). and any prior distribution of such assets by agreement, decree or otherwise. The market value and the emotional value of the assets(Sentimental Value can be Valuable) subject to distribution. Ferguson v. Ferguson, 639 So.2d 291 (Miss. 1994). In a series of future blogs a small discussion of each factor will be posted, and linked back to this post. The first step is knowing these factors. How the Court applies the specific facts of your situation to these factors determines who gets what. Matthew Thompson is a family law attorney in Mississippi and wants you to end up with your Stuff! There is an old lawyer joke… How do you tell when your client is lying to you? When their lips are moving. Lying to your lawyer is a really bad idea for multiple reasons. It is primarily bad because advice can change based on the facts of your circumstance and if we, as the lawyer, do not know the facts our advice may not be right. And the whole perjury thing is bad too. Without further ado, here are the top 5 lies that clients tell. Clients that make a lot of money often understate their income. Also, I have had clients say they make more than they do, I guess because of embarrassment. It is a really bad idea to lie about income regardless of the reason. The other party has the right to get pay records directly from your bank or employer and lying about making more than you do can result in you paying more than you owe. 4. Lies about their role within the Home. The husband comes in and says he does all of the cooking, cleaning, child rearing and otherwise paints himself as Martha Stewart, when he is more like Haagar the Horrible. Out pillaging, but not big on household chores. This matters because it effects the division of assets and has custody and alimony applications. 3. Lies about Other Marital Fault. #3 is other marital fault because it is saving room for #1. But this means that the client tells you about how awful the other party was. How they were attacked or provoked and only reacted and defended themselves. They “forgot” to mention the domestic violence conviction and the meth lab in the garage. Oops. In a similar vein to lies about income, clients understate the value of investments, collectibles and businesses. This can be very significant and a husband that misled the Court about the value of his privately owned business resulted in the wife coming back after the fact and getting more value when he had a falling out with a business partner. Also, that 1953 Chevrolet Coupe is worth more than you are saying it is. #1 for a reason. It’s hard to admit when you are wrong. By the way, “I didn’t have an affair, it was just a one-night stand,” is still an affair. It is adultery. Lying about this can bumfoozle a legal strategy of trying to prevent the divorce. If the other party has grounds against you and wants a divorce they can get it. If you lie about it chances are you will eventually be caught. These are just some of the lies told everyday. It is important to tell your lawyer the truth, including the dirty details. It can make a difference in your case. 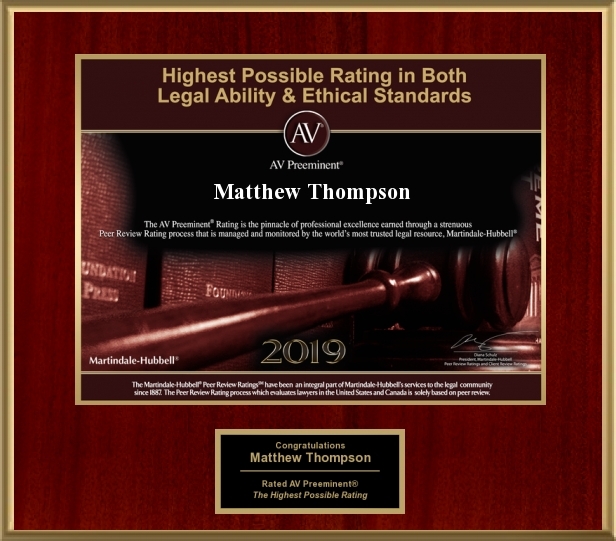 Matthew Thompson is a Divorce Attorney in Mississippi and encourages potential clients to tell your lawyer the truth!